- the lightest and safest Radiation Protective Apron ever! 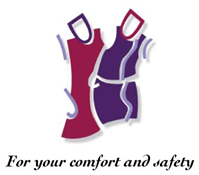 Our swedish company Scanflex Medical and swiss based Scanflex Sirad are leading manufacturers of radiation protection clothes for work in radiology and nuclear medicine. Our garments are manufactured in our own studios in Sweden and Switzerland. 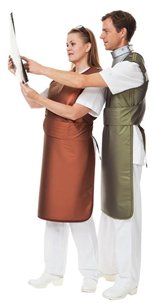 We introduced our protective aprons on the market more than 30 years ago. The products are distributed world-wide and we offer personal testing of all models. Our unique Opaque Collection™ offers the user a much lighter and smoother garment and especially a more eficient radiation protection.